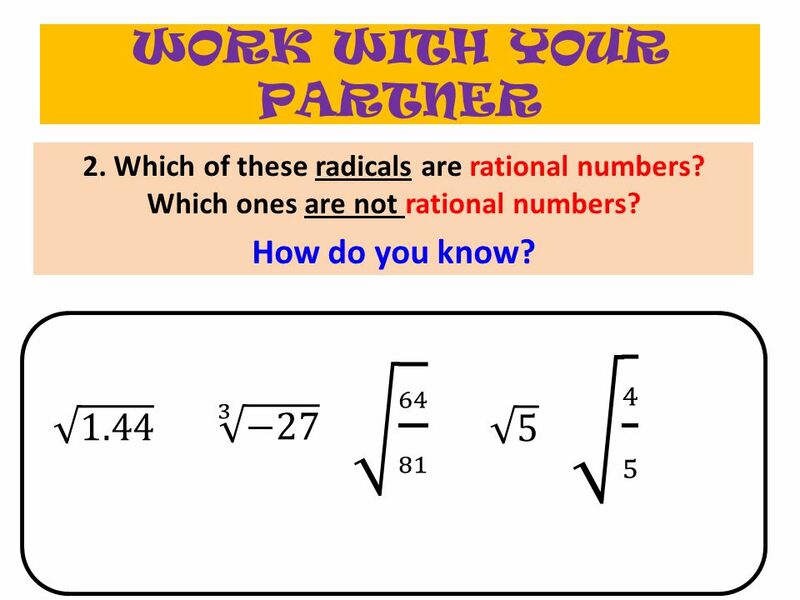 12 4 5 64 81 WORK WITH YOUR PARTNER 1.44 3 −27 5 How do you know? 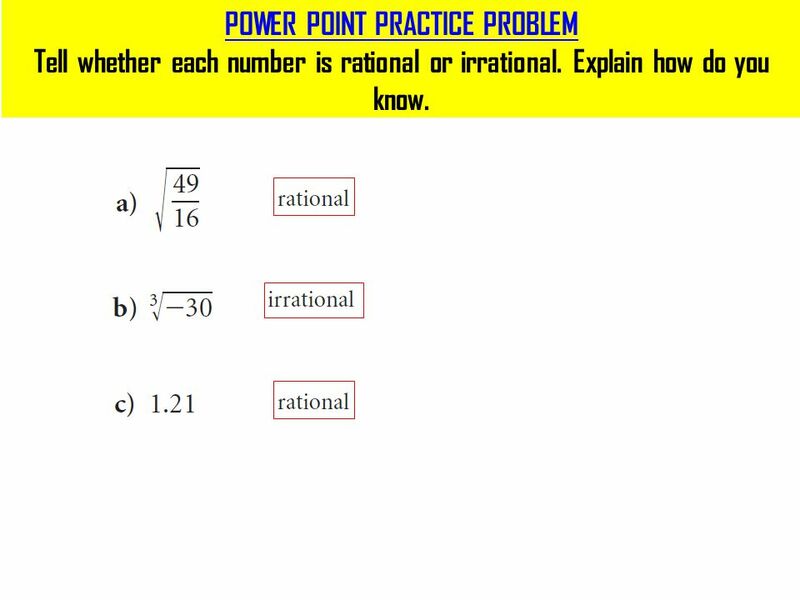 16 POWER POINT PRACTICE PROBLEM Tell whether each number is rational or irrational. 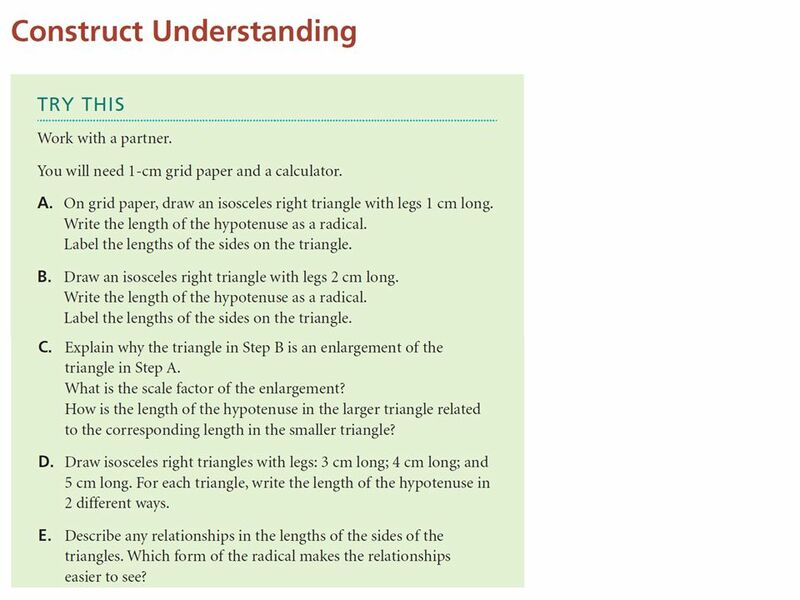 Explain how do you know. 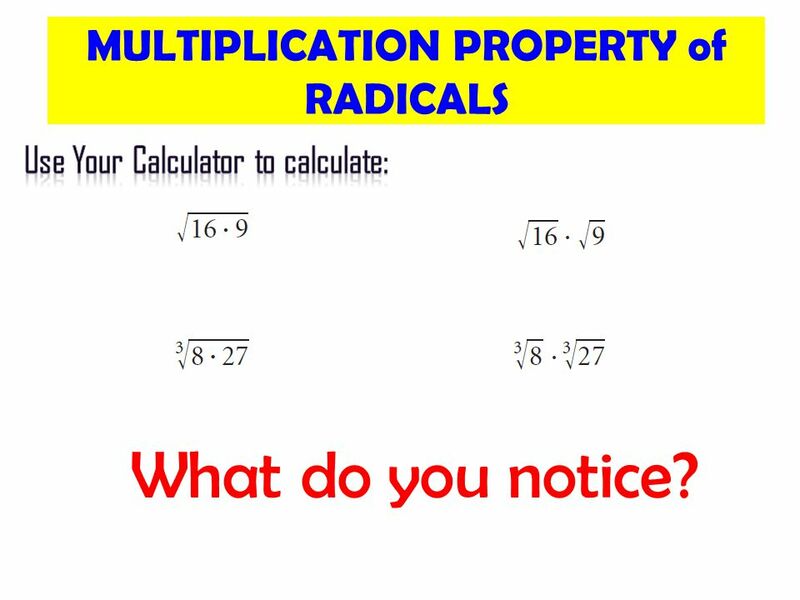 Use Your Calculator to calculate: What do you notice? 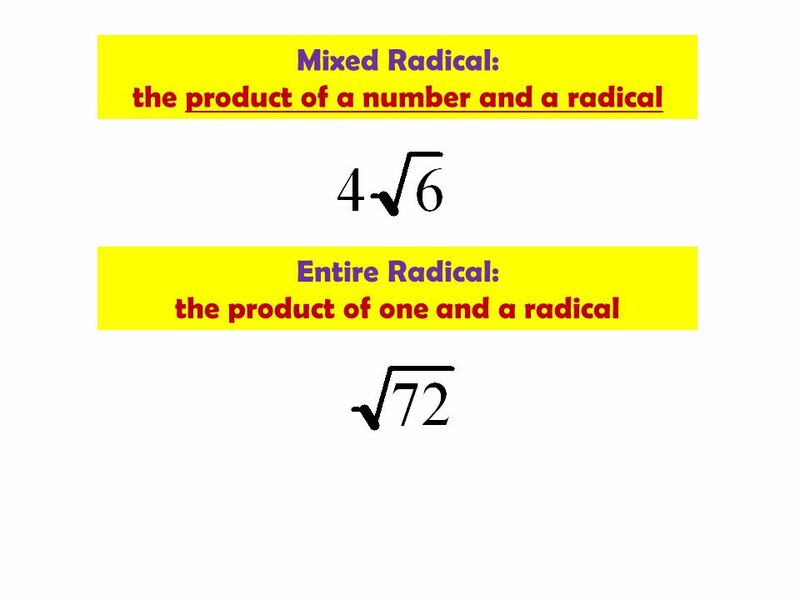 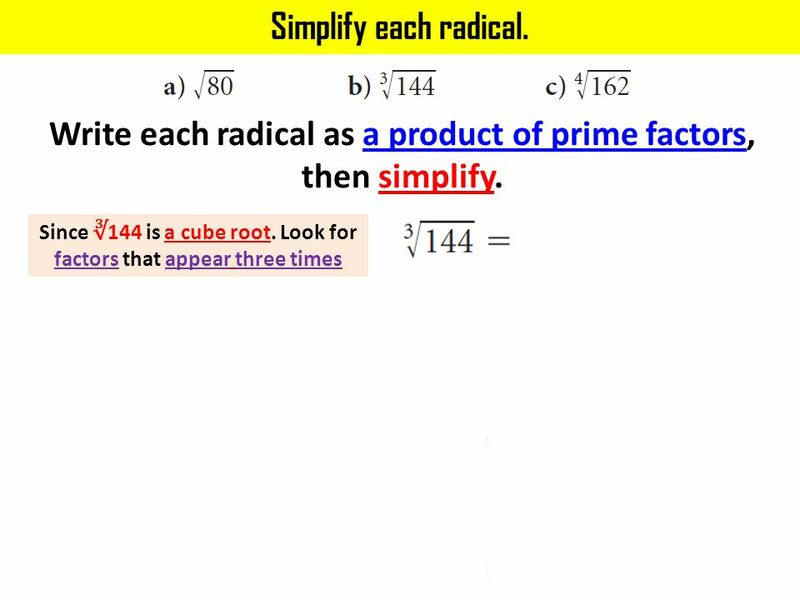 28 Write each radical as a product of prime factors, then simplify. 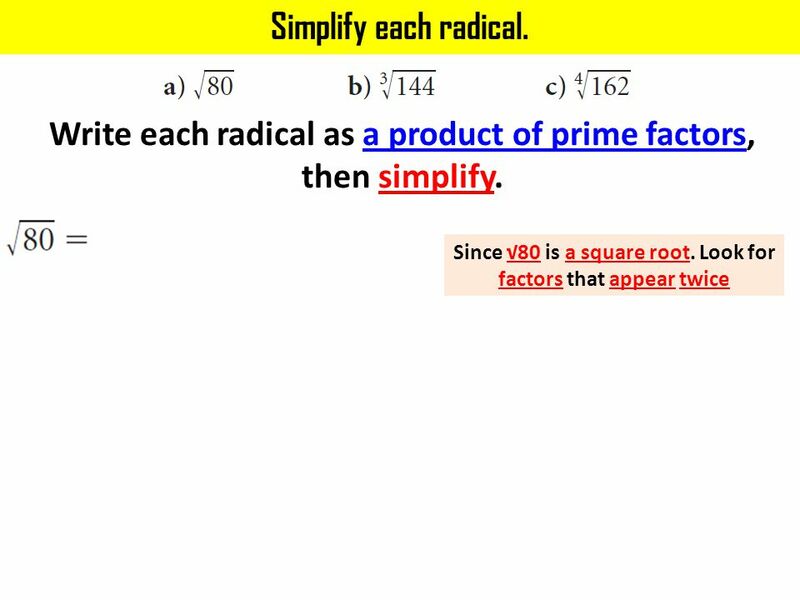 29 Write each radical as a product of prime factors, then simplify. 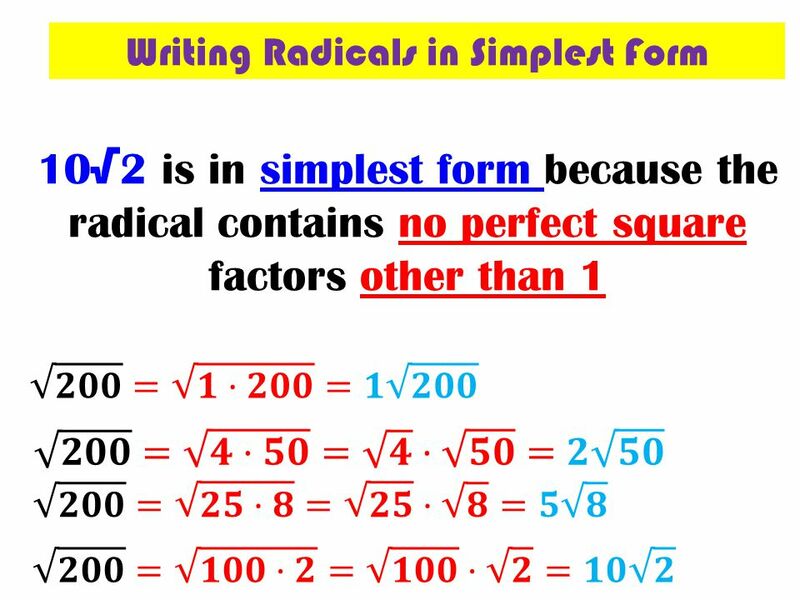 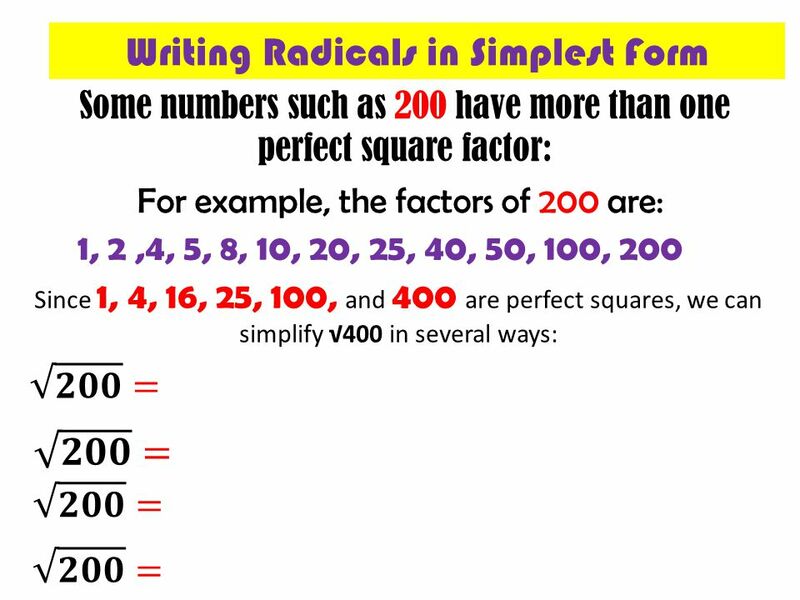 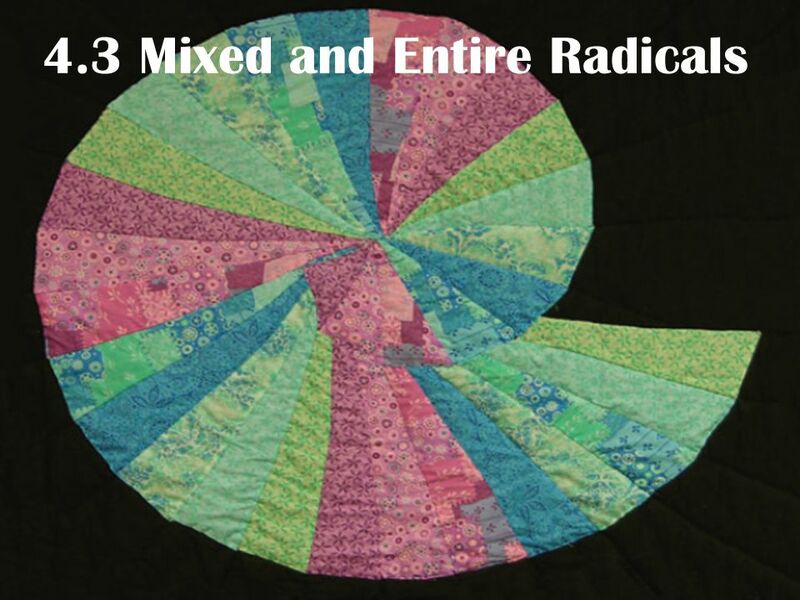 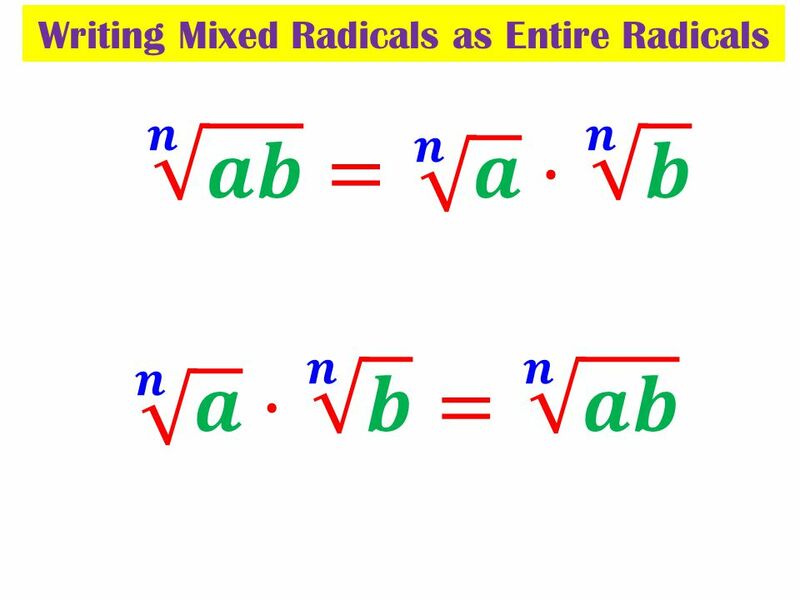 30 Write each radical as a product of prime factors, then simplify. 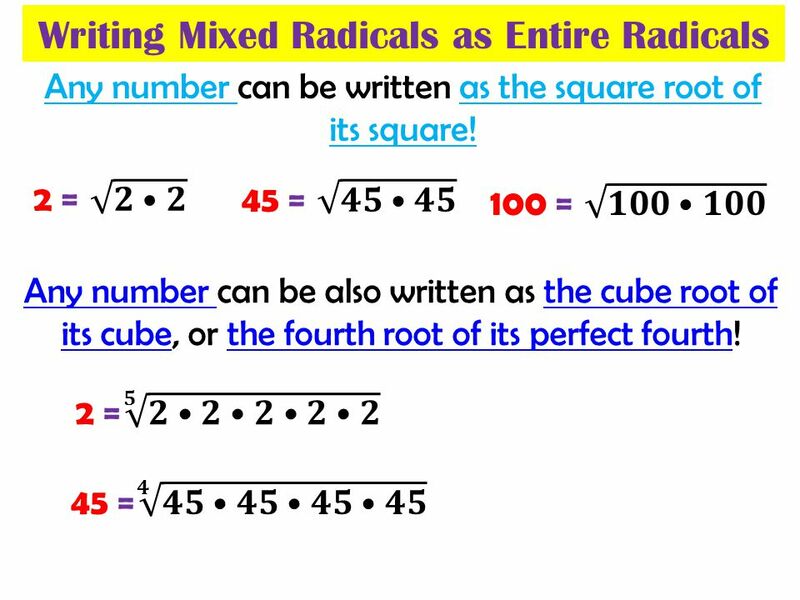 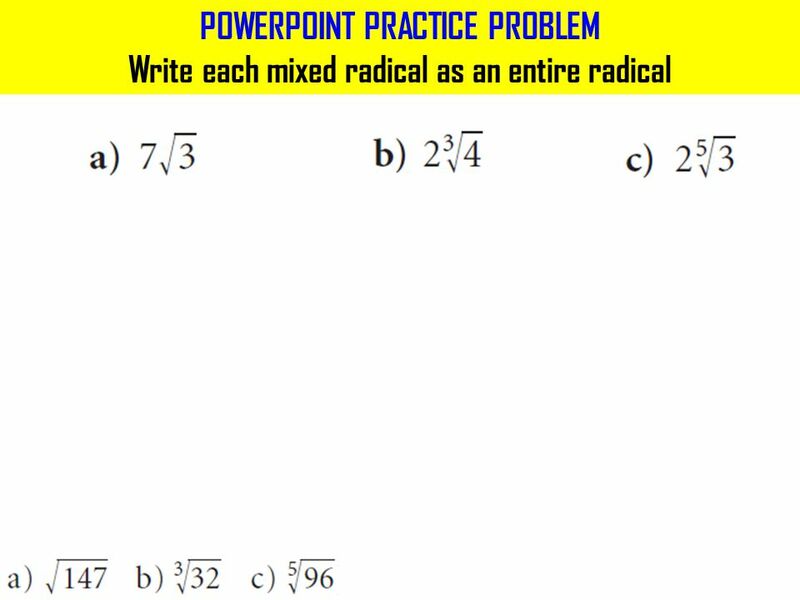 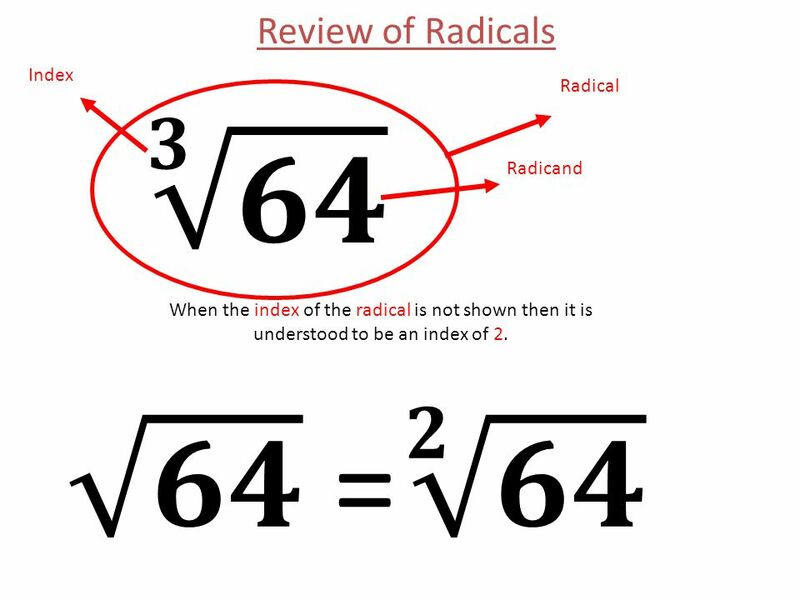 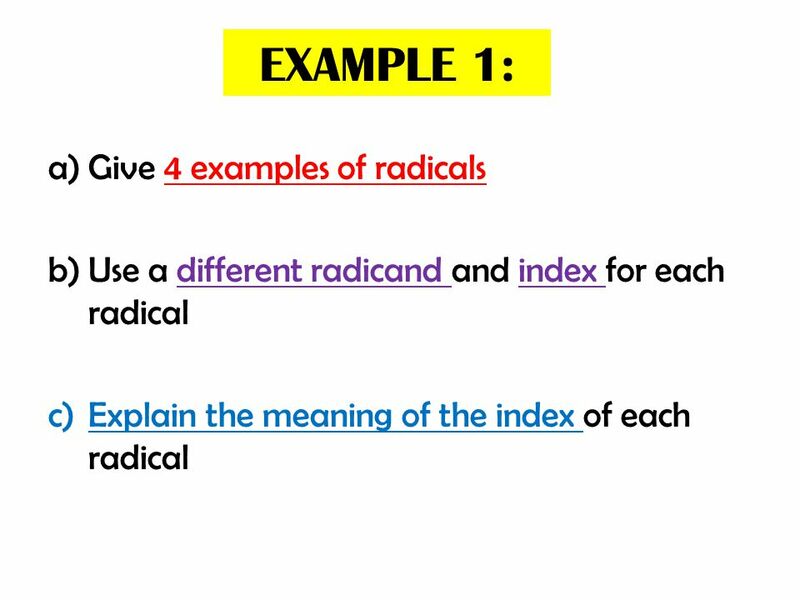 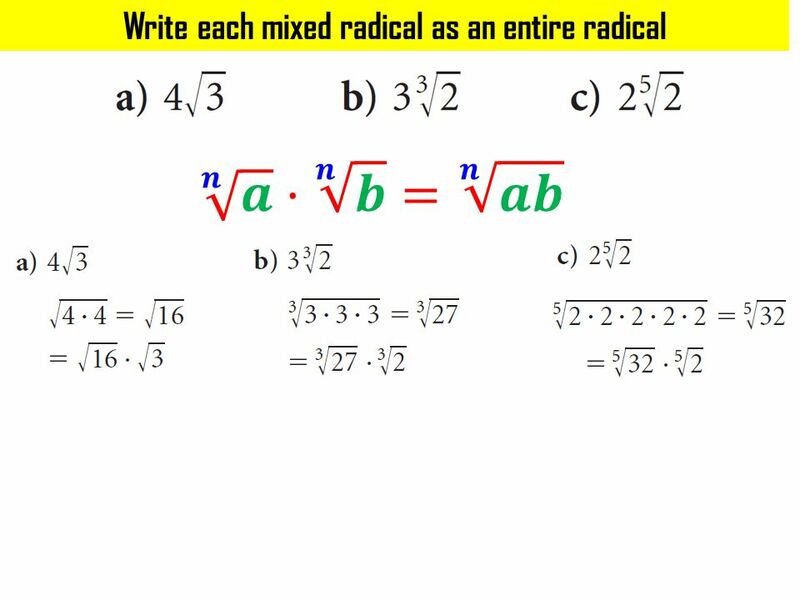 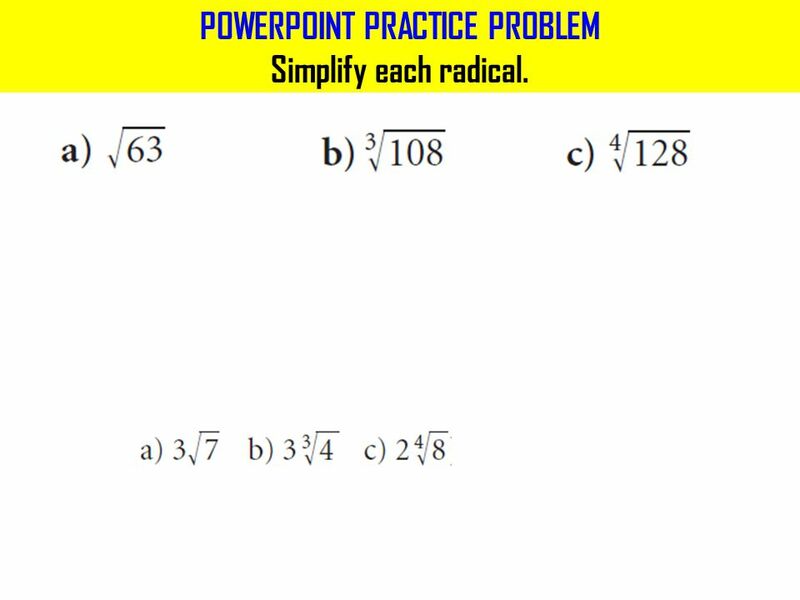 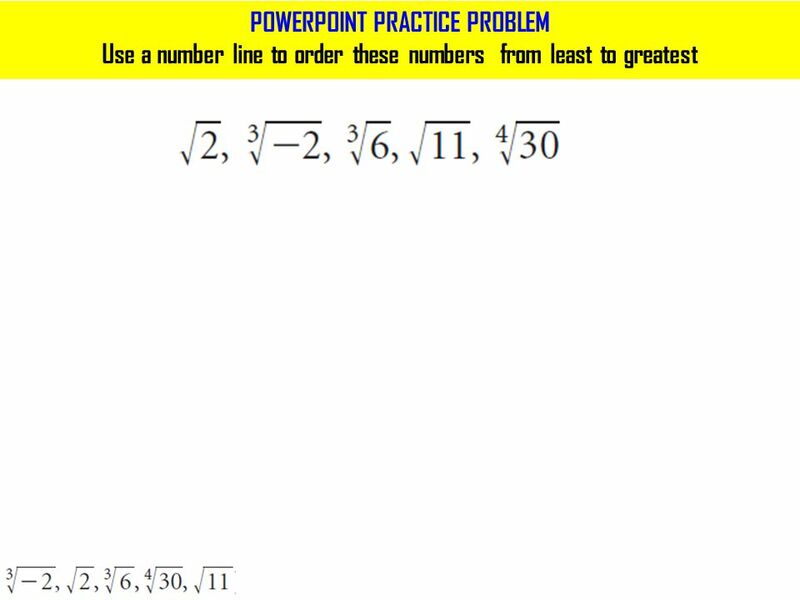 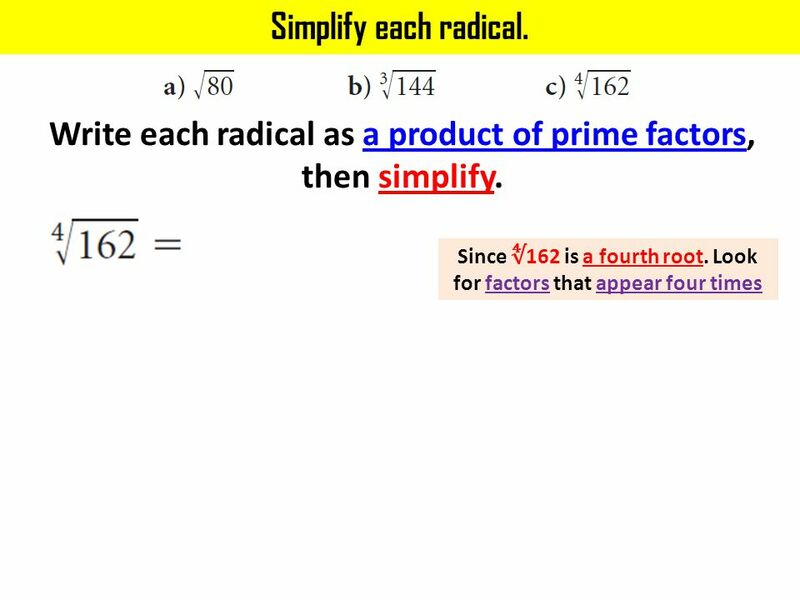 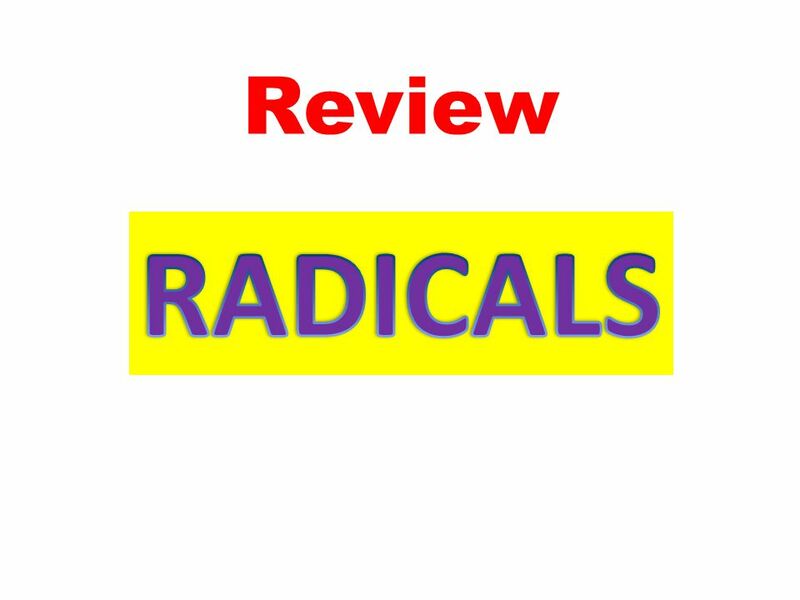 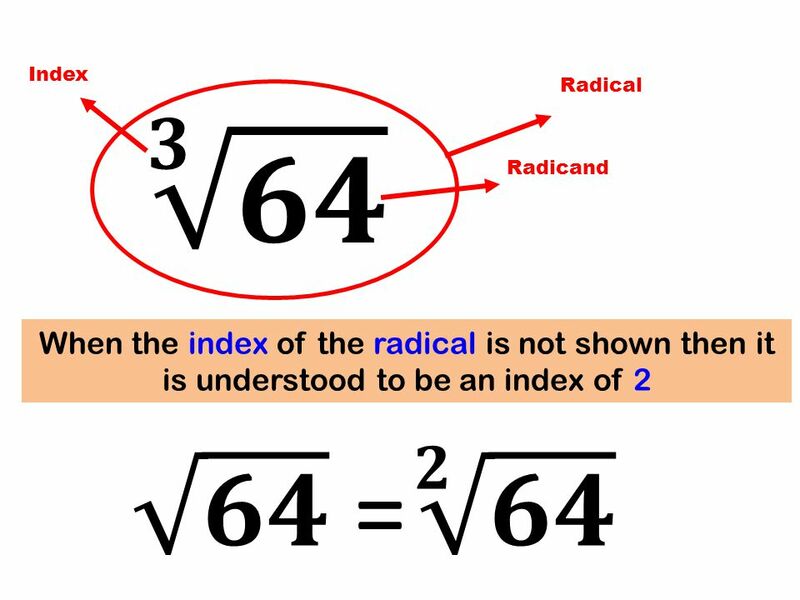 31 POWERPOINT PRACTICE PROBLEM Simplify each radical. 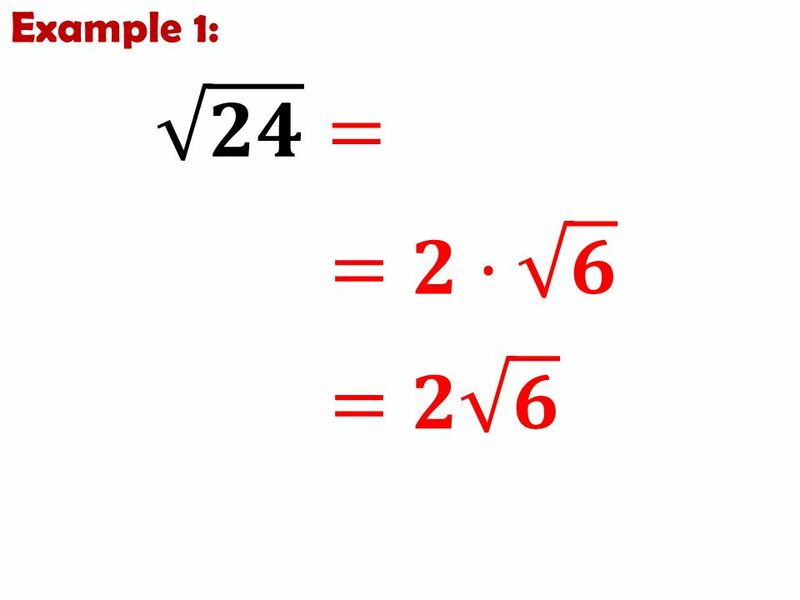 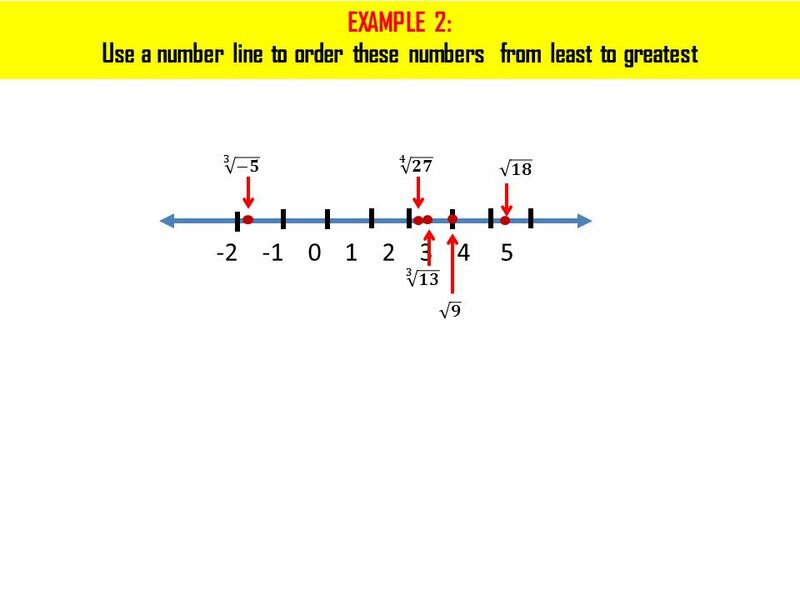 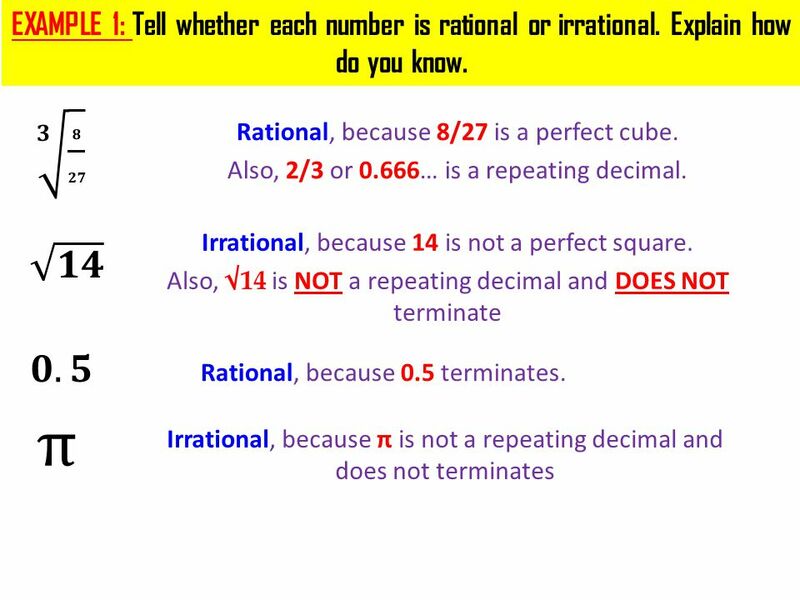 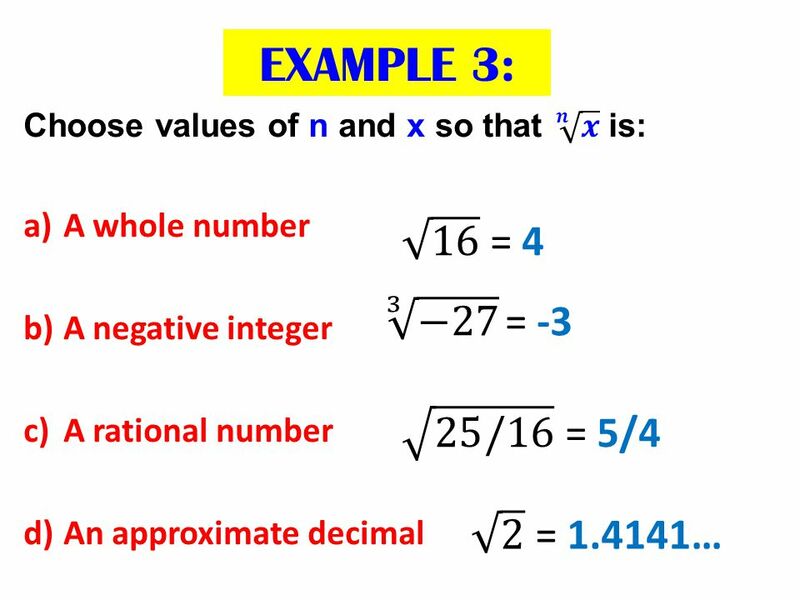 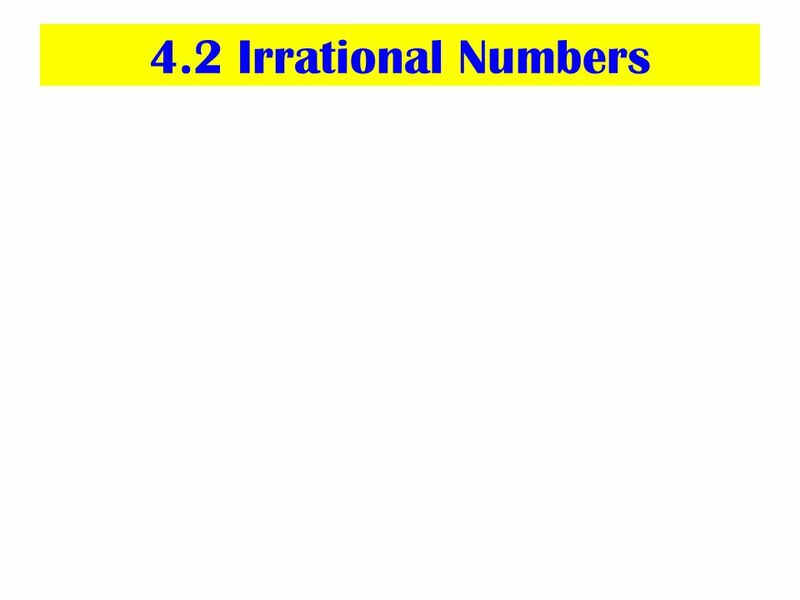 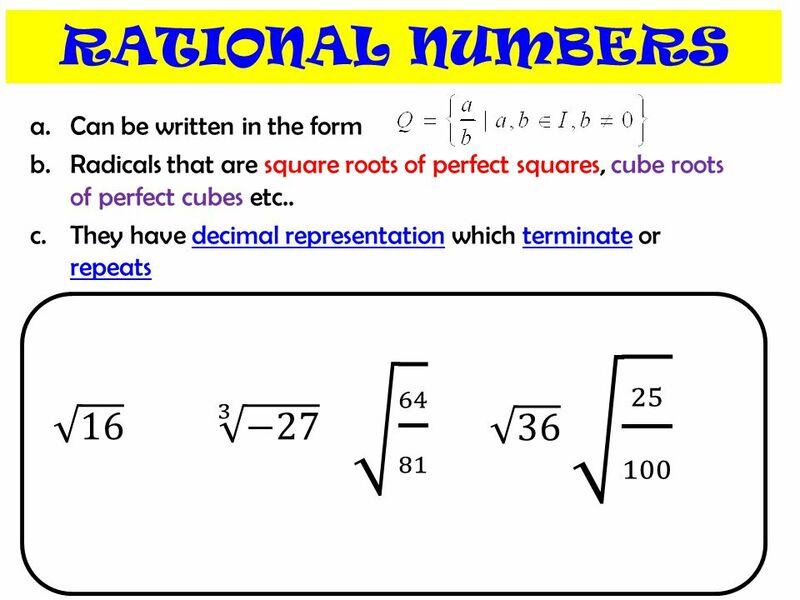 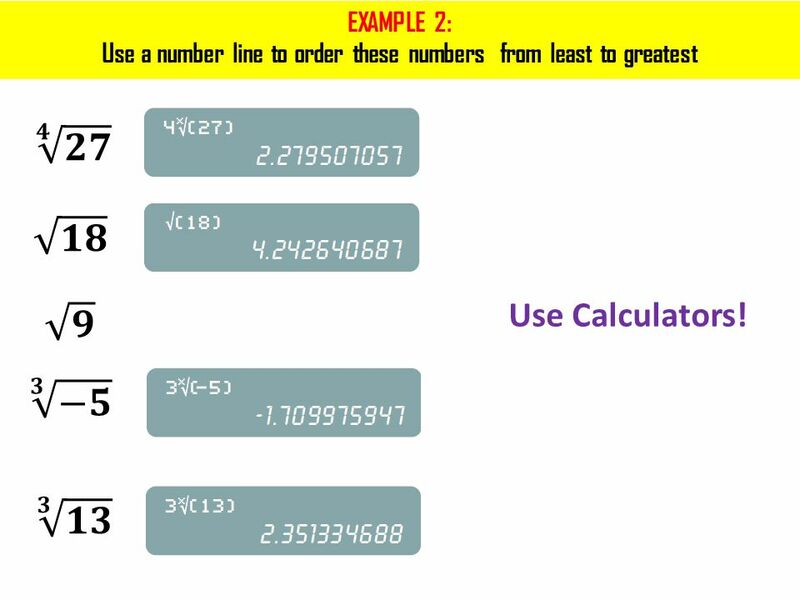 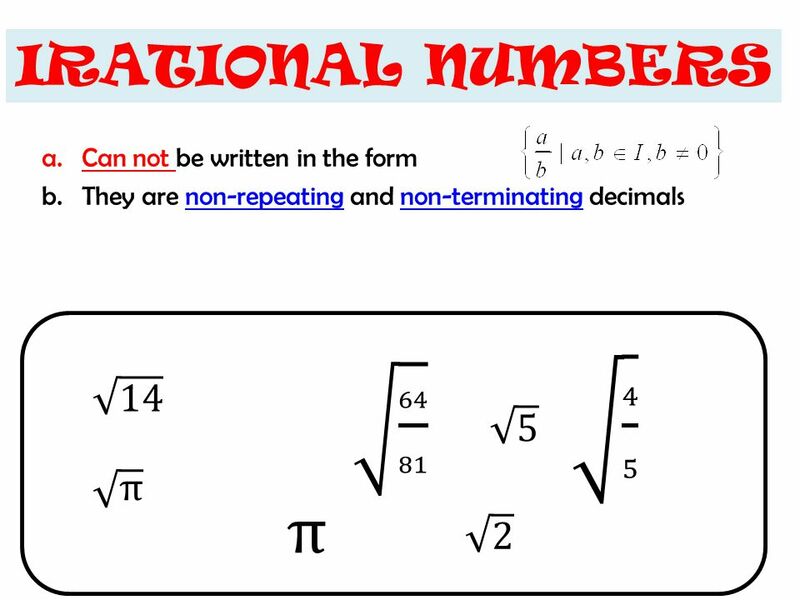 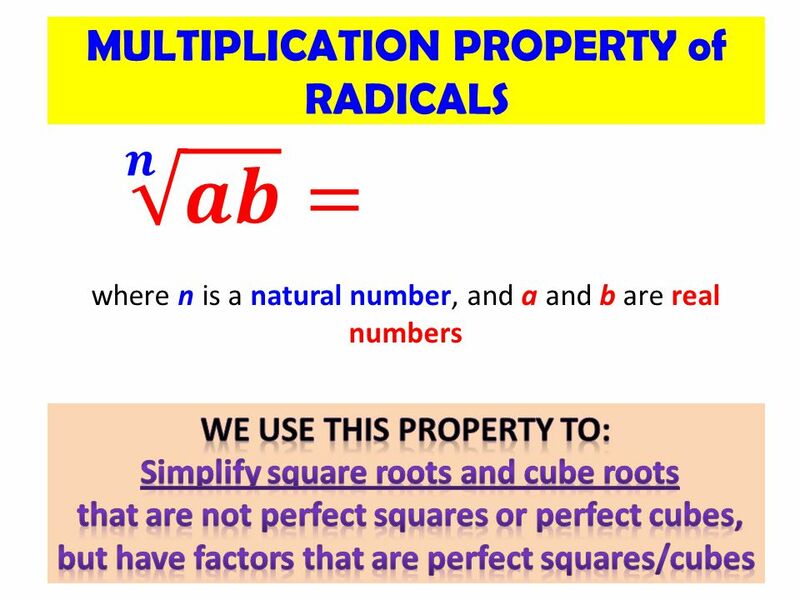 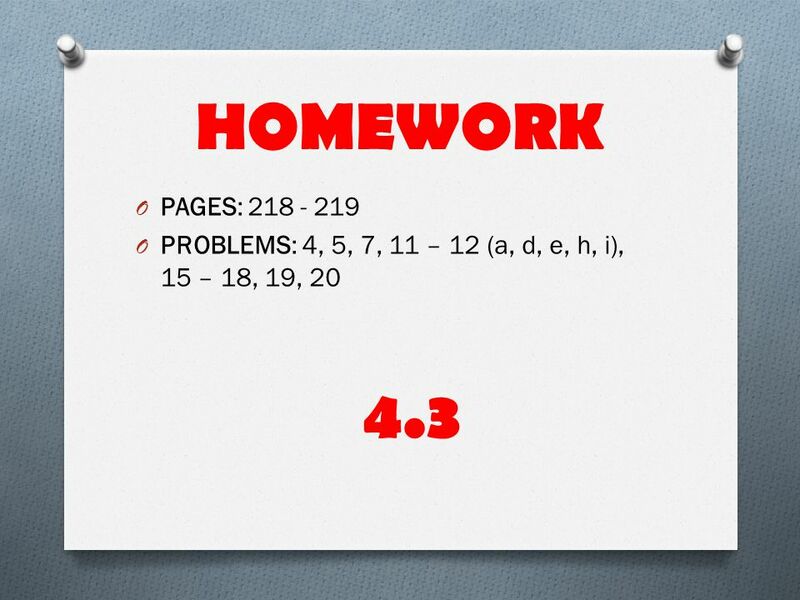 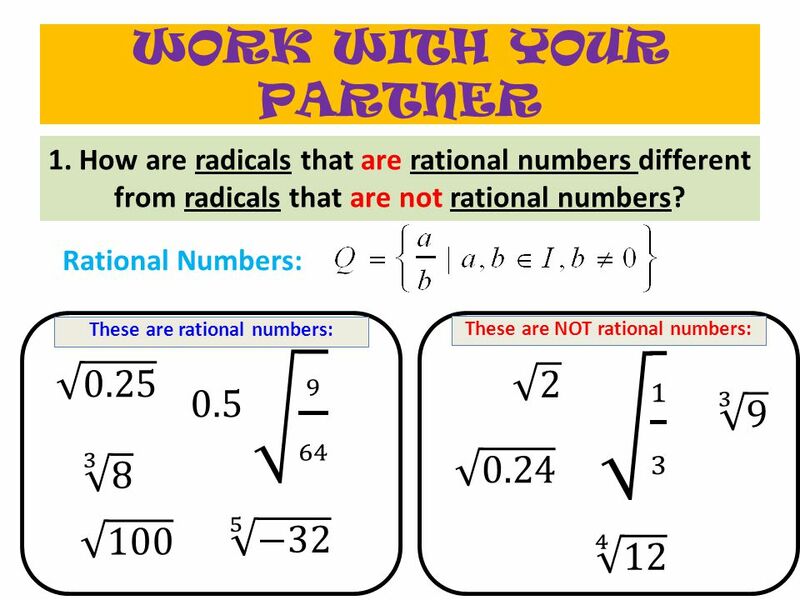 Download ppt "Rational numbers, irrational numbers"
Warm up Simplify the following without a calculator: 5. 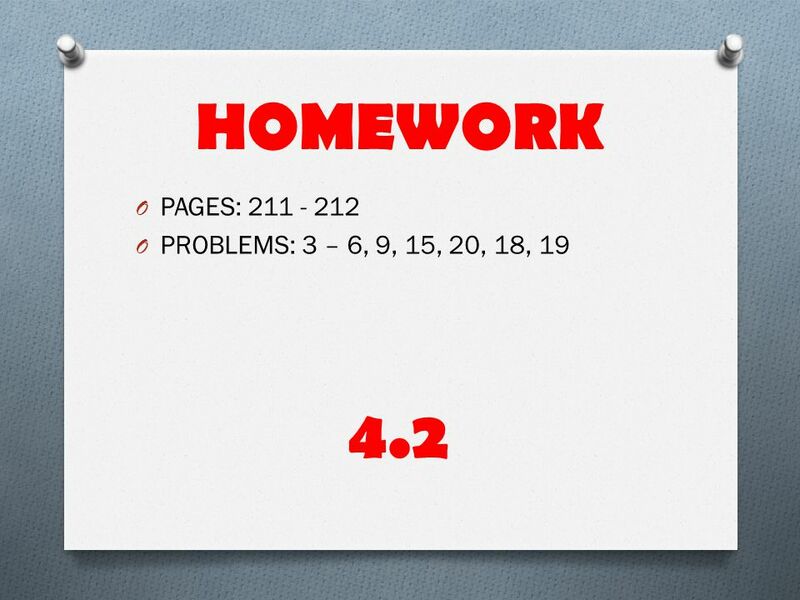 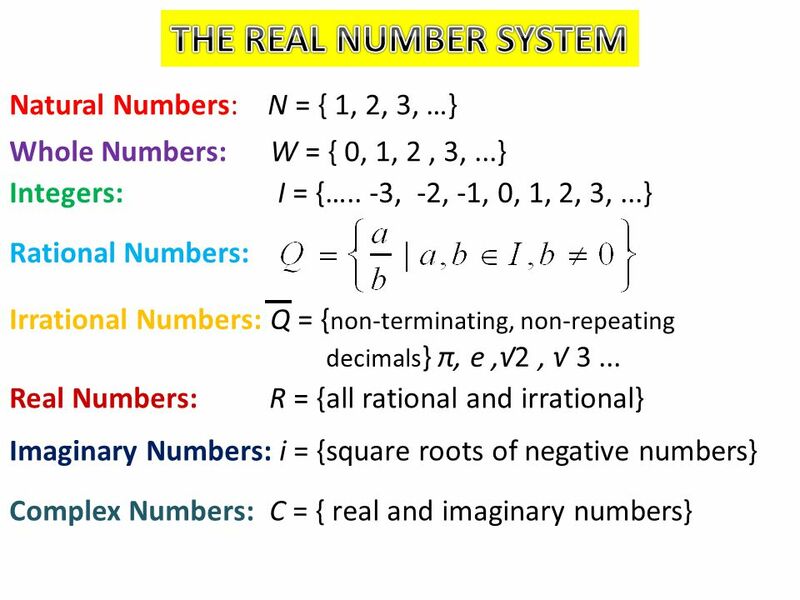 Define real numbers ( in your own words). 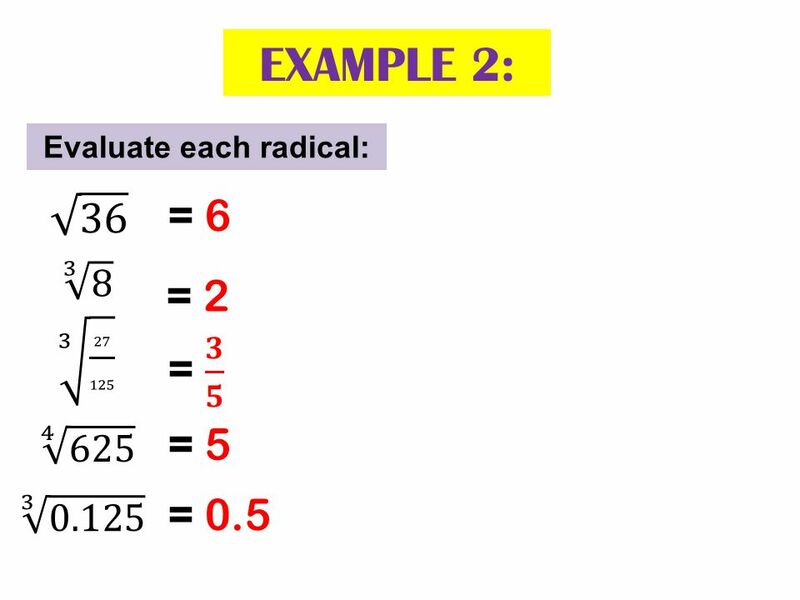 Give 2 examples. 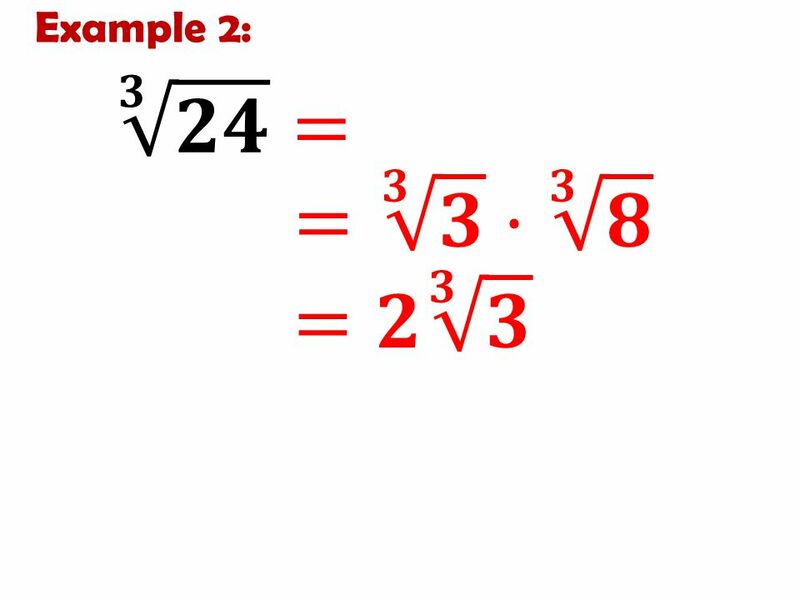 Taking the Square Root of Both Sides Adapted from Walch EducationAdapted from Walch Education. 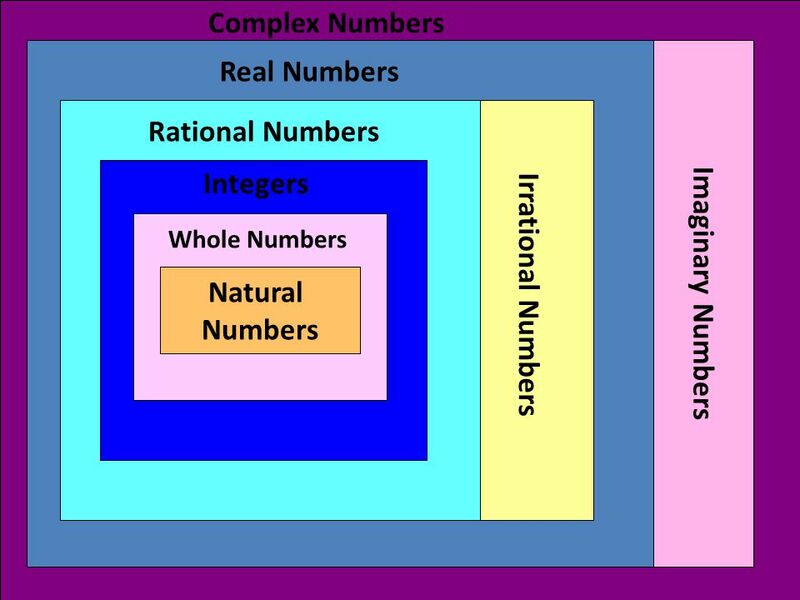 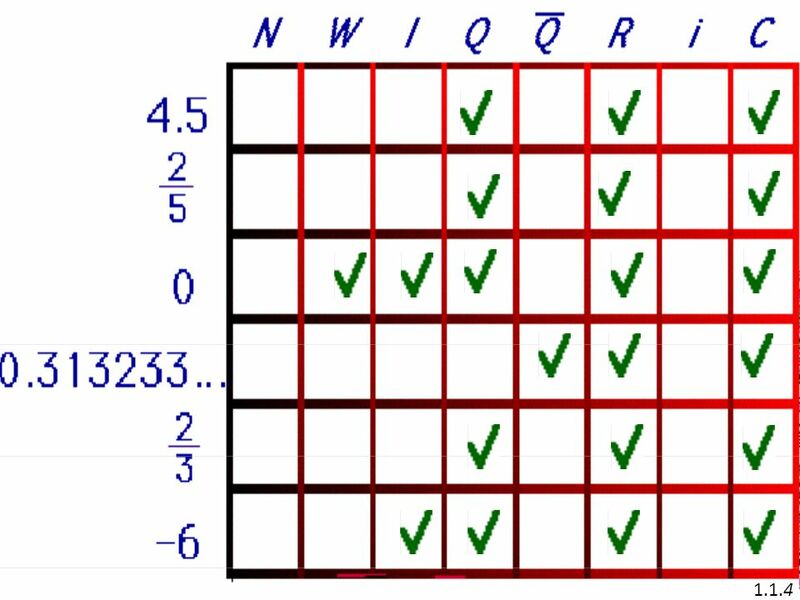 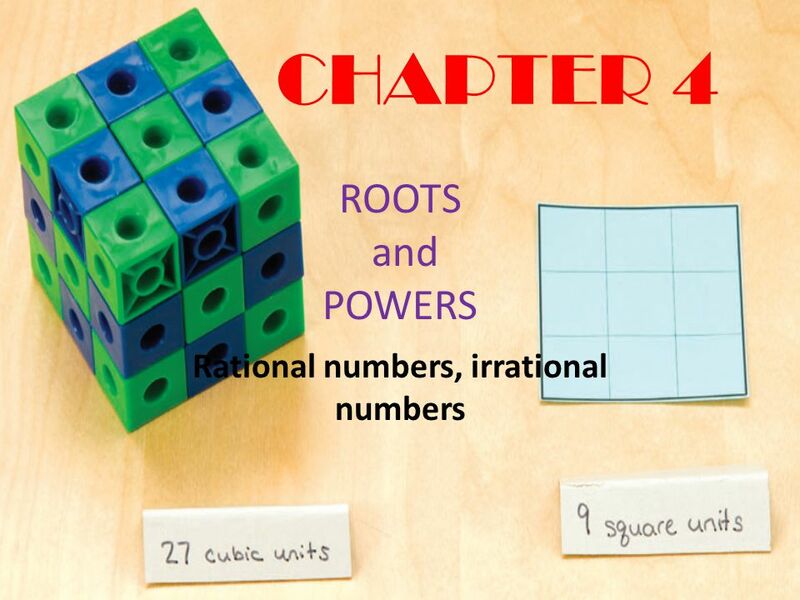 Classifying Numbers Natural Numbers Whole Numbers Integers Rational Numbers Irrational Numbers Real Numbers.